Eric Boudreaux did what his manager wanted in July 1990, he took the start and went deep into the game. Afterward, Boudreaux told The Reading Eagle he hoped to be a regular starter. It was something Reading Manager Don McCormack saw as a possibility. "He seems to be a lot more comfortable," McCormack told The Eagle, "especially this outing, compared to the last one. The last one (five innings and a win) was a good one. This one was almost flawless. He kept his pitches in good spots. He kept us in the game." 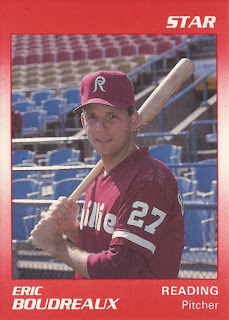 Boudreaux would start three more games for Reading in 1990. They would also be the last of his six-season professional career, a professional career that never saw the majors. 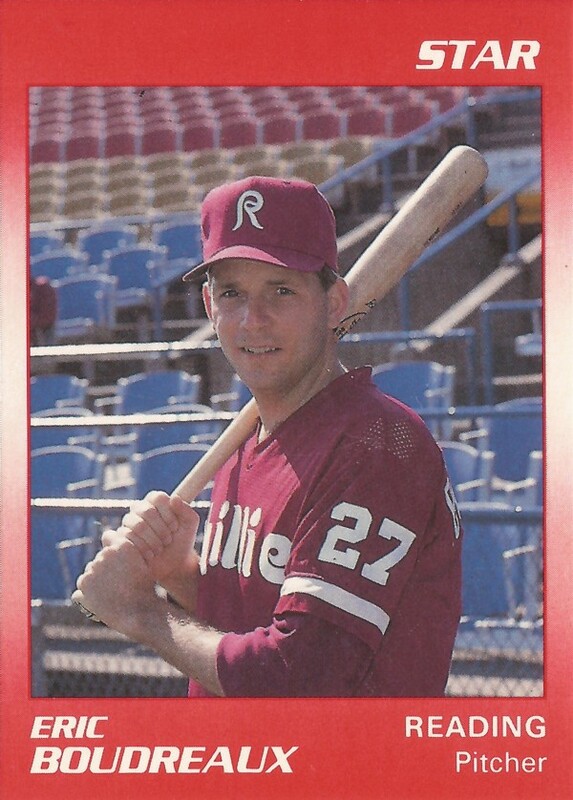 Boudreaux's professional career began in 1985, selected by the Phillies in the January draft out of the University of Texas. At Texas, Boudreaux pitched in the College World Series, pitching Texas to a win in relief of a 1984 Series game, on their way to a second-place finish. "Eric Boudreaux came in an did an outstanding job for us," Texas Coach Cliff Gustafson told UPI. Boudreaux played his first season at single-A Clearwater, going 6-4 in 14 starts, with a 3.26 ERA. He moved up quickly to AA Reading, in his second season. He went 8-6 there, with a 4.03 ERA. Boudreaux got one of his losses in a July game, where he walked seven. At Reading in 1987, Boudreaux took a no-hitter into the seventh inning of a June game. He also hit AAA for the first time that year, a seven-game stretch at Maine. He went 2-5 for the Guides, with a 5.49 ERA. One of those loses came in a game where he went five innings and gave up a single run. Maine Manager Bill Dancy believed Boudreaux deserved better that day. "He pitched well enough to win today," Dancy told The Lewiston Daily Sun. "He did his job, the rest of the guys on the field for us didn't." Boudreaux split 1988 between Reading and Maine. By 1989, he'd switched to reliever, but still shuttled between AA and AAA, something he would repeat again in 1990. His 1990 season was his last. The Phillies moved on. In April 1991, the manager that called Boudreaux's July 1990 outing almost flawless, counted Boudreaux among a group of nine players termed "dead weight," weeded out of the Reading roster, according to The Eagle. "They were players who were just boarderline players," McCormick told The Eagle. "We have some young kids coming up who can play; guys who have shown they can play."